The rolling process is to contact the high hardness and smooth roller with the metal surface, after the local microplastic deformation of the surface layer, the surface roughness is improved by plastic machining. 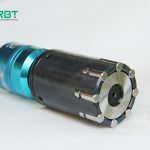 Roller burnishing tool, also called roller burnishing surface finish, rolling cutter, rolling head, finish roller, tool roller, surface roller, rolling squeeze head and roll extrusion head, mirror tools, rolling tool, roll to squeeze knife, rolling reamer, cutter roller, burnishing drill such as a variety of names. Because of the relationship between region and language, there are different names in different places. Some countries are known as roller head machine, which is understood as a burnishing drill. Some countries are known as rolling tool and understand that they are a kind of machining tool. According to the processing principle, it is generally referred to as the rolling tool, which is a kind of mechanical processing of the metal surface with smooth and clean mirror. The roller burnishing tool is widely used in advanced countries and is the most ideal mirror processing tool in China. It is the best choice to improve the quality, improve the efficiency and improve the traditional process for the production enterprises. The roller burnishing tool is clamped on the spindle of machine tools such as drilling machine, lathe, milling machine, boring machine, CNC lathe, machining center, etc. The rolling tool turns and the workpiece is not moved for processing. The other method is to fix the roller burnishing tool and rotate the workpiece to coincide with the center of the machining hole. When processing, it must be used to cool the lubricating oil, and the lubricating oil should be filtered and kept clean (including the outer diameter, plane, cone and sphere). 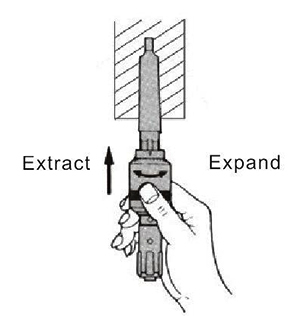 When the tool is returned, it will automatically shrink the diameter and not damage the processed surface. 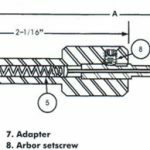 ← How to use a burnishing tool?